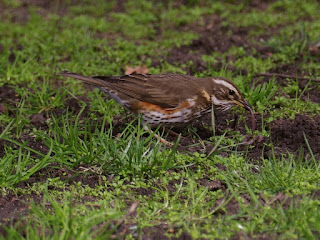 There were plenty of Redwings on the fenced-off area of the Parade Ground, hauling up worms. 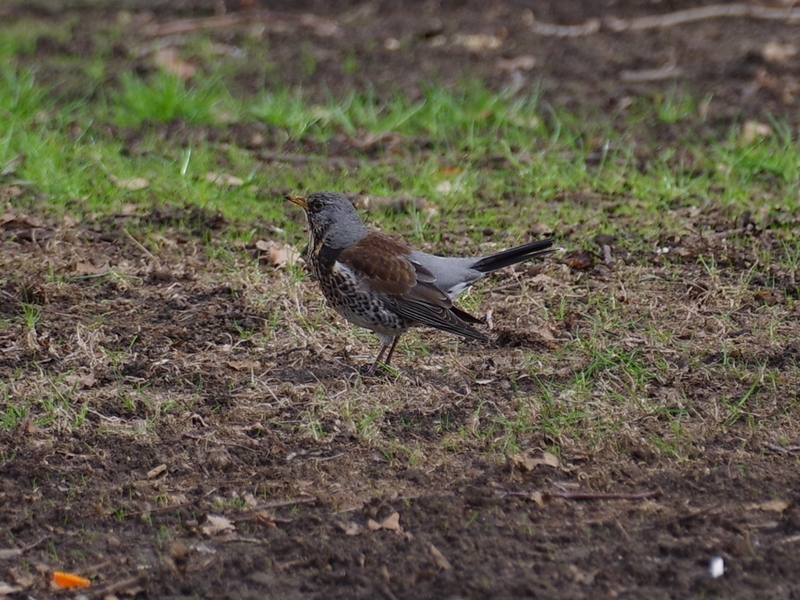 And there was just one Fieldfare, which insisted on staying a very long way off. 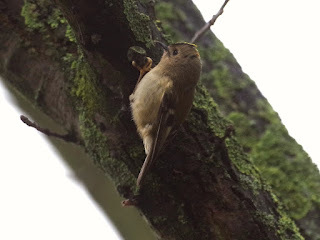 While I was trying to photograph it, a Goldcrest came out on a branch a few feet away. 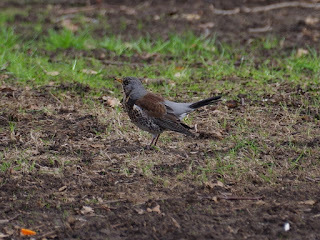 One of the Robins beside the Long Water has a deep hatred of Rose-Ringed Parakeets, and ticks furiously when they perch on the railings under his tree. A Peregrine, I think the male of the pair, was on the barracks tower, showing rather faintly through the drizzle. 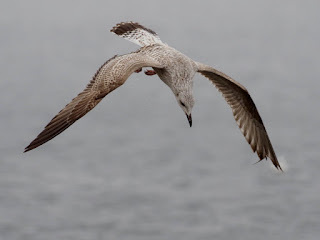 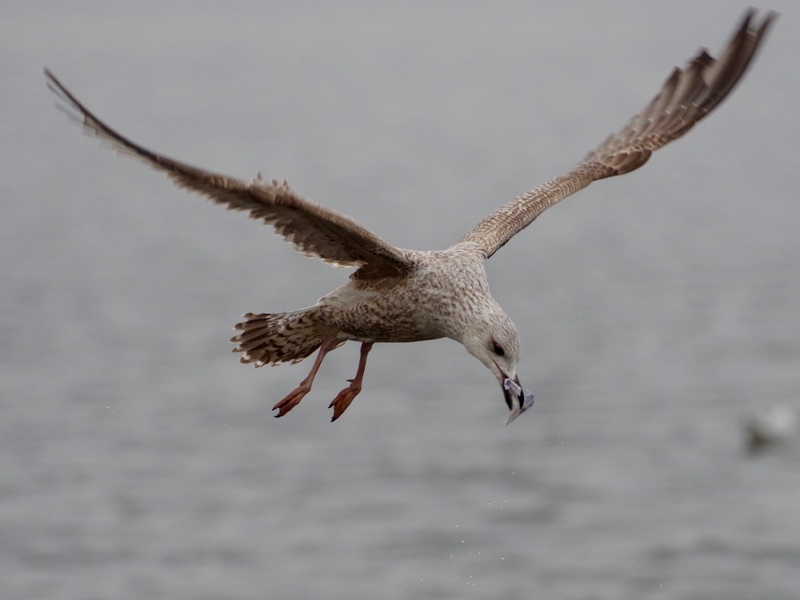 A young Herring Gull on the Serpentine amused itself by dropping and catching something that looked very like a £5 note, though I didn't get a clear enough picture to be sure. 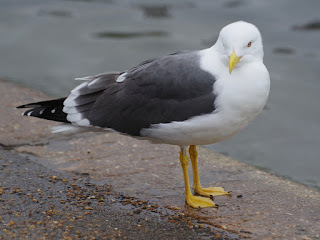 The pigeon-eating Lesser Black-Backed Gull is now in breeding plumage, and looking extremely smart. 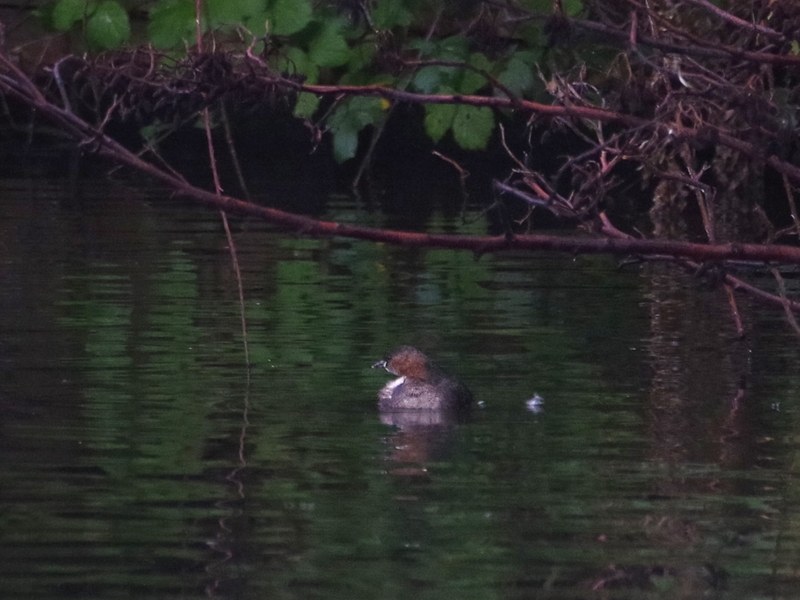 His mate was in the water nearby, equally immaculate but smaller and slighter. A male Tufted Duck stood on a branch to preen his shining white belly. 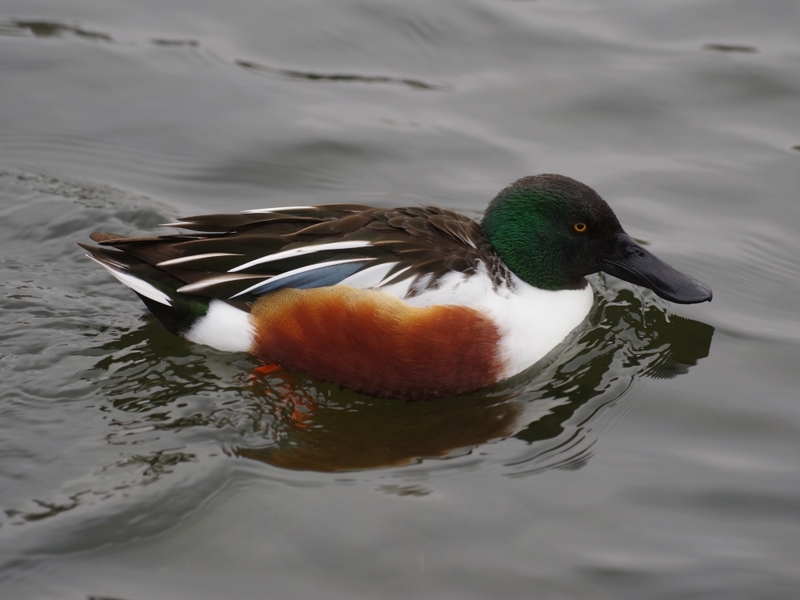 Even on a dull day the Shoveller drakes look colourful. 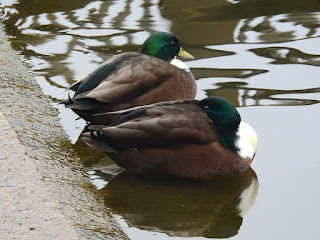 The dark Mallard brothers were asleep side by side near the bridge. 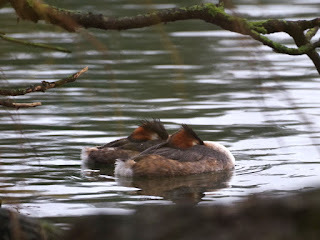 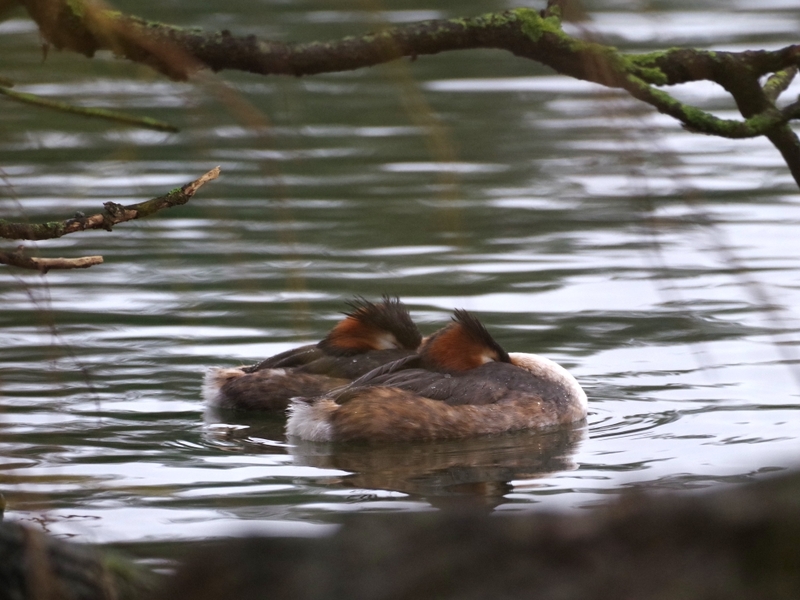 So were a pair of Great Crested Grebes under the collapsed willow tree. A Little Grebe could be seen distantly skulking in the shadows under a bush. 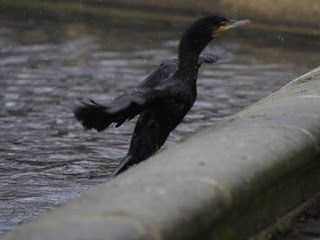 A Cormorant jumped out of one of the Italian Garden pools. 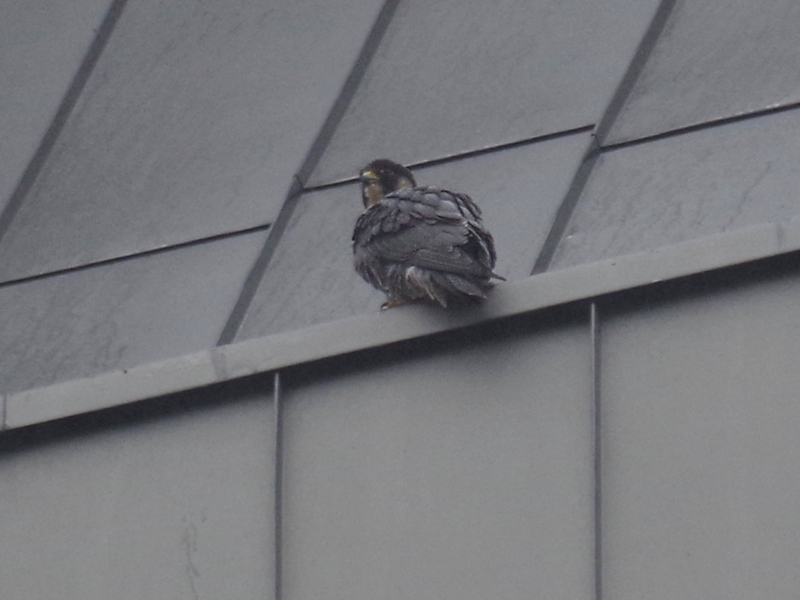 It would sound like sacrilege if I said that Pigeon Eater is looking very pretty, so I will settle for "handsome". 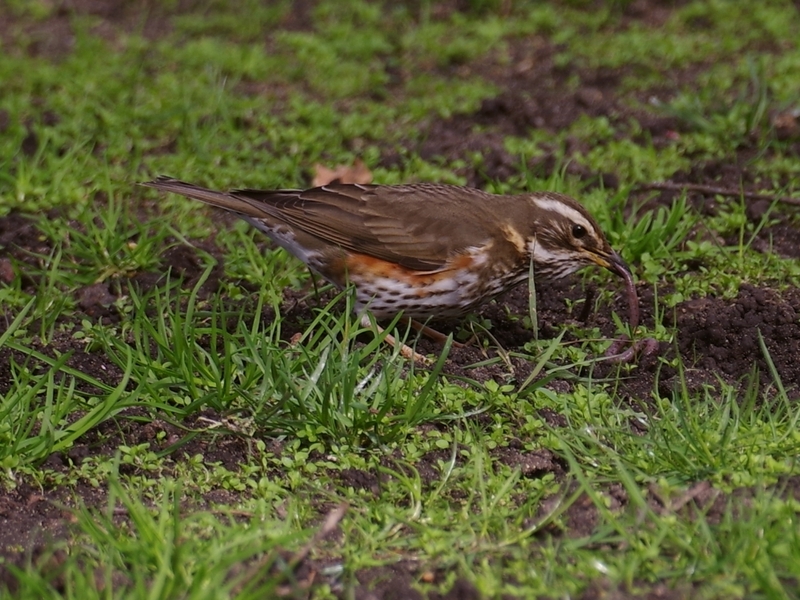 The furious Robin is adorable, even though the Parakeets appear to be unfazed. One of the parakeets did fly away, but I think that was because I was pointing a camera at it.